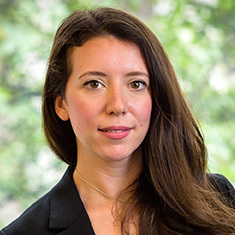 Sarah Simpson is an Intellectual Property and Corporate associate at Katten Muchin Rosenman UK LLP. She advises both UK and international clients on intellectual property, general commercial and data protection law. Sarah's particular experience is in intellectual property law. Her focus is on brand protection, including matters involving EU and UK trademarks, copyright and design rights. On the trademarks side, this includes clearing, securing, protecting and enforcing trademark rights for a variety of companies, which involves the management of global trademark portfolios. Sarah has dealt with opposition and cancellation matters and infringement and anti-counterfeiting disputes. She advises on worldwide branding strategies and the protection and enforcement of a variety of intellectual property rights. Sarah has deep experience in advising clients on drafting and negotiating licensing, assignment, settlement and coexistence agreements. She also counsels clients on data protection, privacy, cybersecurity and commercial contracts, as well as regulatory and general commercial matters. Most recently, Sarah has advised companies in the fashion, retail, aviation and telecoms industries on privacy and cybersecurity matters, particularly in relation to their implementation of the General Data Protection Regulations. While much of Sarah's experience stems from the fashion, fashion-technology, luxury brands, retail and consumer goods industries, she has significant background in helping clients in a wide range of industries. These include the financial-technology, cloud computing, telecom and aviation industries. Prior to joining Katten, Sarah was a member of the commercial technology practice at an international technology firm and spent six months in total on secondment at two well-known international technology companies. Sarah contributes to the firm's fashion editorial, the Katten Kattwalk and is a Lexology author. She is a regular lecturer at the London College of Fashion on intellectual property rights in the fashion industry. Sarah regularly acts for clients on a pro bono basis and recently advised clients on the intellectual property provisions of a contract relating to the production of a movie and a further intellectual property matter for a theatre company. Shown below is a selection of Sarah’s engagements.